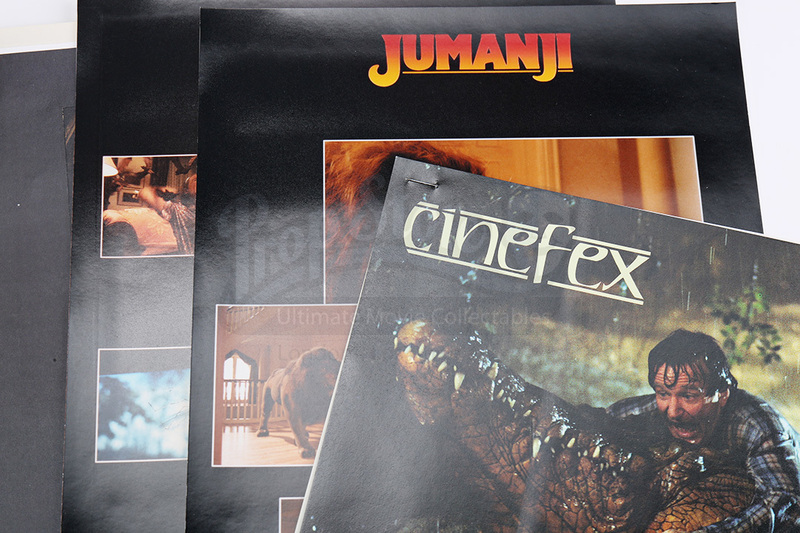 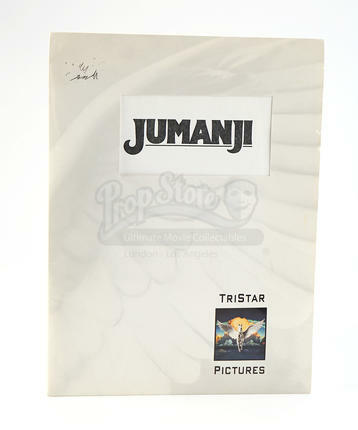 A press kit folder from the 1995 board game adventure film Jumanji. 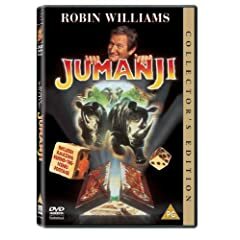 In the film, two children find a board game with mysterious powers and accidentally release the dangers it is hiding within. 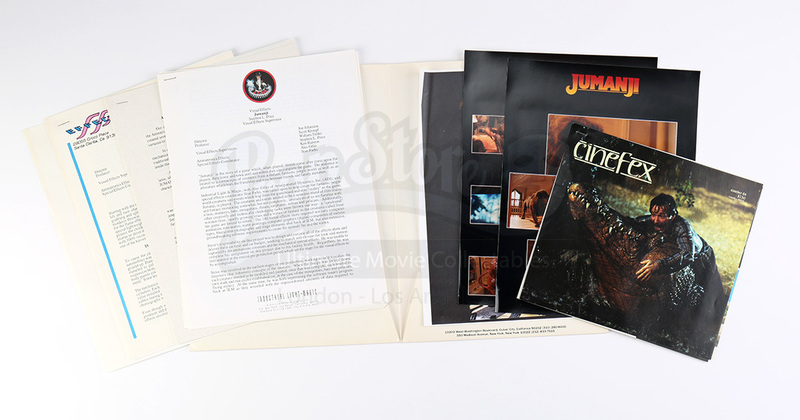 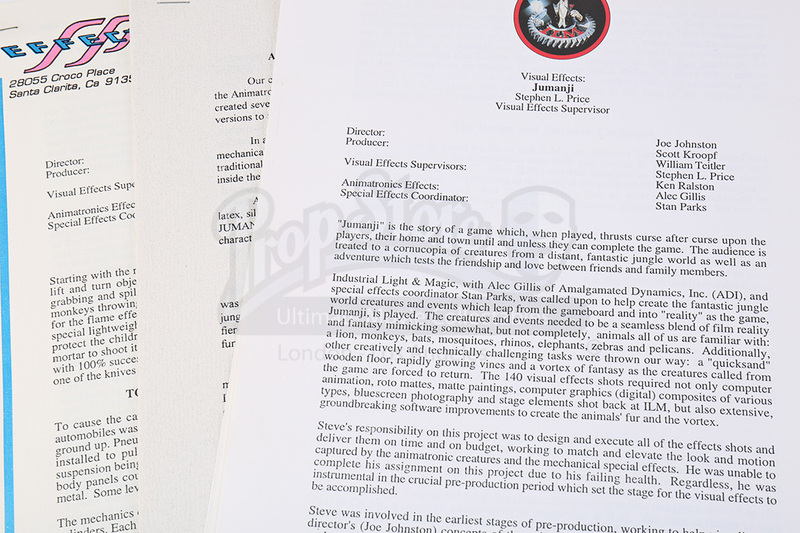 Made to promote the film, encased in the folder are a copy of a Cinefex booklet, three pages featuring various stills from the film and three packets of special effects information from the film's special effects supervisors and coordinator. 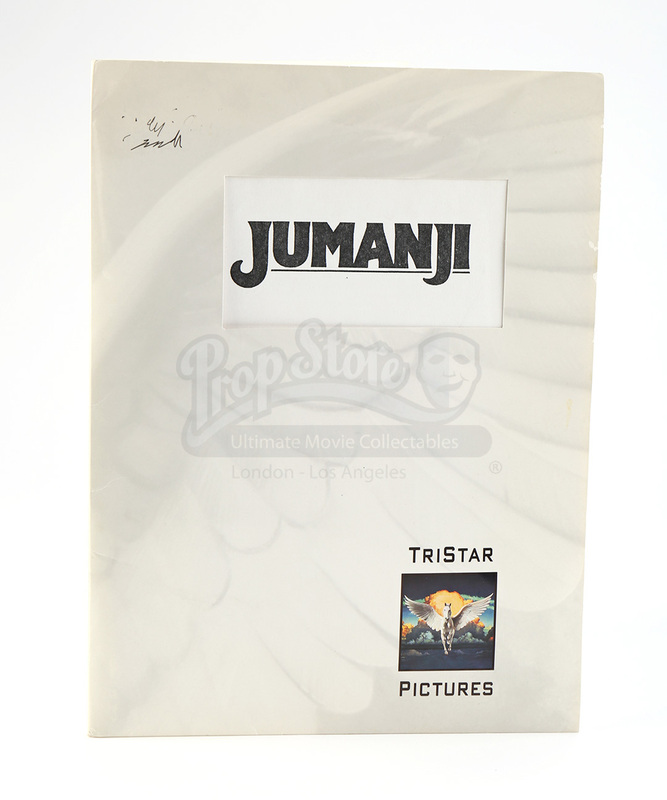 All documents are held within a TriStar Pictures folder, and while the collection shows some wrinkling from age, the whole set remains in very good overall condition.